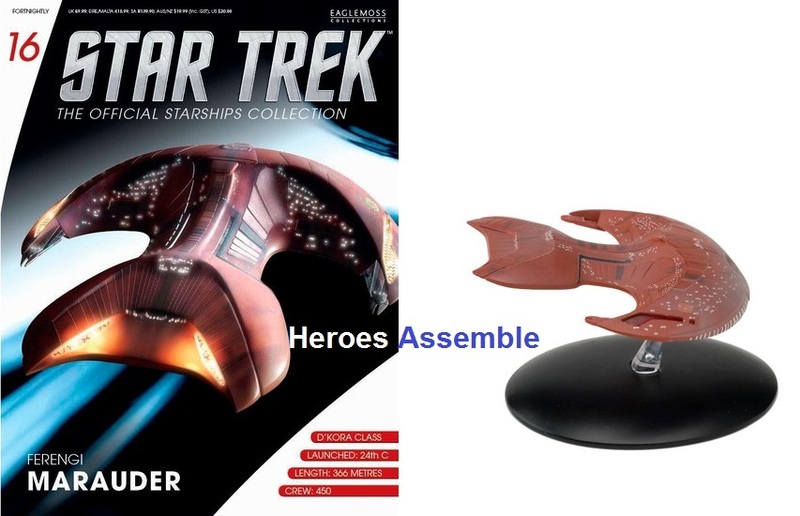 Star Trek Official Starships Collection #16 Ferengi Marauder from Eaglemoss Publications. Release expected late March 2014. 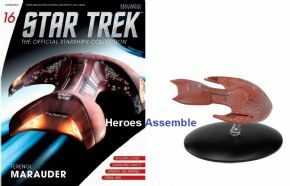 This incredible new fortnightly collection of STAR TREK models includes all the most significant ships from the five STAR TREK television series. Every ship has been painstakingly recreated in die-cast and high quality ABS materials then hand painted with an incredible level of detail. Every model comes with a special collector’s magazine that provides an in-depth profile of the ship, with detailed annotations, and a breakdown of the technology on board, its crew and weapons. Exclusive behind the scenes articles reveal how the ship was designed, complete with original design sketches. And there is an informative examination of the shooting model (or models) used by the VFX team, and a history of the ship’s on screen appearances.